The fitness industry is experiencing a new boom characterized by the proliferation of interactive and customizable technology, from exercise-themed video games to smartphone apps to wearable fitness trackers. This new technology presents the possibility of boundless self-tracking, generating highly personalized data for self-assessment and for sharing among friends. While this may be beneficial – for example, in encouraging physical activity – the new fitness boom also raises important questions about the very nature of our relationship with technology. This is the first book to examine these questions through a critical scholarly lens. Addressing key themes such as consumer experience, gamification, and surveillance, Fitness, Technology and Society argues that fitness technologies – by ‘datafying’ the body and daily experience – are turning fitness into a constant pursuit. 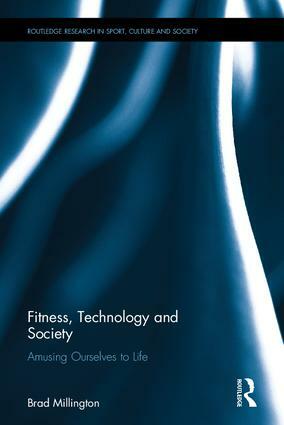 The book explores the origins of contemporary fitness technologies, considers their implications for consumers, producers, and for society in general, and reflects on what they suggest about the future of fitness experience. Casting new light on theories of technology and the body, this is fascinating reading for all those interested in physical cultural studies, technology, and the sociology of sport.